The first concert sold out for this awesome show – so we added another. Get your tickets now! Legendary country group Diamond Rio celebrated its milestone 20th Anniversary as a Grand Ole Opry member with an appearance on the Opry Friday night at the Grand Ole Opry House. Diamond Rio was inducted into the Opry family on April 18, 1998 becoming the first group since The Whites, who joined in 1984, to receive Opry membership. 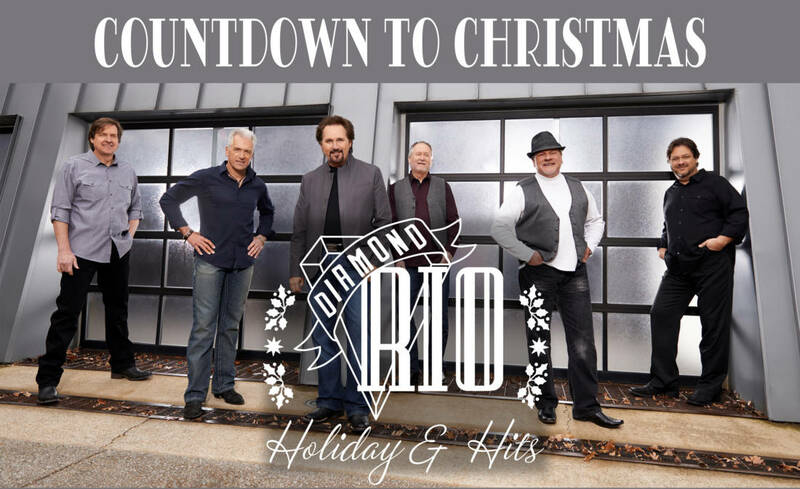 Diamond Rio was inducted into the family by Opry members Little Jimmy Dickens and Porter Wagoner. Formed in 1989 in Nashville, TN the band consists of Gene Johnson (mandolin, tenor vocals), Jimmy Olander (lead guitar, acoustic guitar, banjo), Brian Prout (drums), Marty Roe (lead vocal), Dan Truman (keyboards), and Dana Williams (bass guitar, baritone vocals).